December 2018 - Thank you for your support in purchasing Ruby Red Grapefruit and Navel Oranges this year. These funds are used for a scholarship at the YMCA! 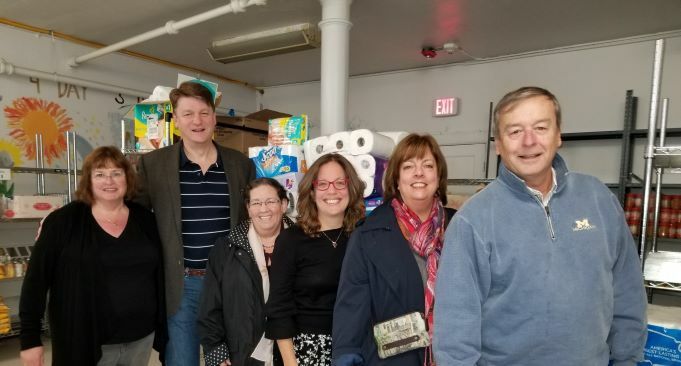 Rotary Club members dropped off their diaper and toilet paper collection to the Community Food Pantry of Sleepy Hollow and Tarrytown. These items are always in need by the pantry so the club decided to focus on this while raising funds at their fundraiser held last month at Captain Lawrence. Pictured are club President Laura Murray surrounded by Margaret Black, Rich Slingerland, Ginnie Hays, Barbara Turk and Fred Salek. The 2019 grant round of the Rotary Club of Sleepy Hollow, Tarrytown and Irvington is now closed. Thank you to all who applied.